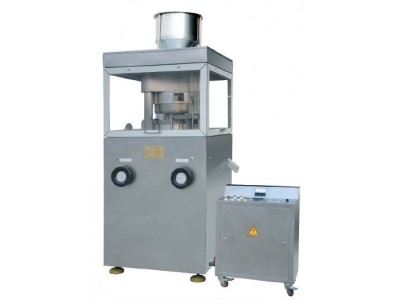 XSGS-2 High-speed Rotary Dryer is suitable for drying organic compounds, dyestuff, foodstuff and so on. The hot air enters the bottom of the dryer in tangent direction. Under the driving of the blender, a powerful rotating wind field is formed. The paste state materials enter the dryer through the screw feeder. Under the high-speed rotating of stirring paddle , the materials are smashed by striking, friction and shearing force, and they are fully exposed to hot air and heated, dried. The dried materials go up with the hot air flow. The big particles are left. The small particles are discharged out of the dryer from the ring center and collected into the cyclone separator and dust collector. The not-fully-dried or massive formation of materials are sent to the wall of the equipment by centrifugal force and will be smashed again after they fall down to the bottom. 1. Organic compounds：Fenatrol(insecticide of pesticides), cadmium laurate, benzoic acid, germicide, sodium oxalate, cellulose acetate. 2. Dyestuff：Anthraquinone, black ferric oxide, indigo blue pigment, butyric acid, titanium hydroxide, zinc sulfide, all kinds of azo dyestuffs. 3. Inorganic compounds：Borax, calcium carbonate, hydroxide, copper sulphide, ferric oxide, barium carbonate, antimony trioxide, all kinds of metallic hydroxide, heavy metallic salt, synthetic cryolite. 4. Foodstuff：Soya protein, gelatinized starch, lees, triticin, wheat starch. The hot air enters the bottom of High-speed Rotary Dryer in tangent direction. Under the driving of the blender, a powerful rotating wind field is formed. 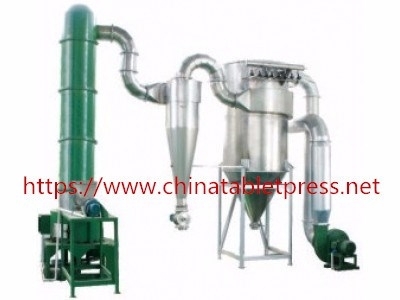 The paste state materials enter the High-speed Rotary Dryer through the screw feeder. Under the high-speed rotating of stirring paddle , the materials are smashed by striking, friction and shearing force, and they are fully exposed to hot air and heated, dried. The dried materials go up with the hot air flow. The big particles are left. The small particles are discharged out of the dryer from the ring center and collected into the cyclone separator and dust collector. The not-fully-dried or massive formation of materials are sent to the wall of the equipment by centrifugal force and will be smashed again after they fall down to the bottom.